Prince Charles, a long-time supporter of the waterways, will become the first Patron of the new Canal & River Trust, the body being set up to care for the historic canals and rivers of England and Wales. The Canal & River Trust is due to be launched this summer, taking over the waterways, museums and properties of British Waterways and The Waterways Trust in England and Wales. 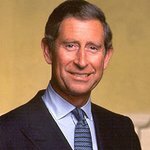 Scotland’s waterways will also be represented by The Prince of Wales, in his role as Patron of The Waterways Trust Scotland. The Canal & River Trust is the new charity being set up to care for England and Wales’ wonderful legacy of 200-year-old waterways, holding them in trust for the nation forever. It will be among the UK’s biggest charities, with responsibility for 2,000 miles of canals, rivers, docks and reservoirs, along with museums, archives and the country’s third largest collection of protected historic buildings.